Orange County Wing Chun Kung Fu school, The Dragon Institute, is located right on Pacific Coast Highway in Dana Point, CA. -4 different family classes per month. 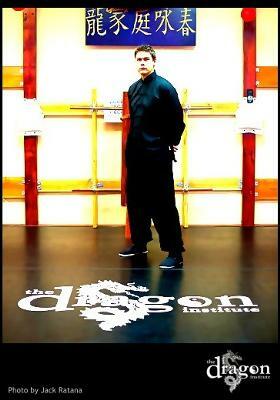 Sifu Adam Williss is the program director and head instructor at The Dragon Institute. He is an official lineage holder of the Worldwide Leung Sheung Lineage Association. A 2010 US Martial Arts Hall of Fame inductee, Sifu Adam also serves as the state of California representative for The System Wing Chun and director for several international martial arts organizations including the World Ving Tsun Athletic Association. Sifu Adam has several mentors whose methods have influenced his own. But none has been more influential upon his development than Florida-based Wing Chun master, Bill Graves. Sifu Adam has been training with him since 1995 and is one of only a handful of instructors in the world that can legitimately claimto have instructor status under his guidance. Bill Graves' teacher for the last 30+ years is none other than modern Wing Chun legend Karl Godwin. "I've been in martial arts for 30 years. Sifu Adam Williss is hands down THE best martial arts teacher available today."